What's green and renewable energy? Renewable energy. Green power. Clean and sustainable. Solar, wind, tidal, geothermal. There are a lot of terms out there about green and renewable energy, and it can get a little overwhelming – but we’ve got you covered. Whether you’re looking to go completely green or just reduce your consumption of fossil fuels, green and renewable energy options are your best bet. Here’s a quick explainer to navigate your options. Simply put, green energy is clean energy derived from sources that produce little to no greenhouse gases and have very low impact on the environment. Power derived from green energy sources is better for the environment, has a low carbon footprint and contributes little or nothing to climate change. What are some sources of green energy? Sustainable green power sources include wind, geothermal and solar. They don’t pollute and are key in fighting climate change. Renewable energy is an umbrella term that includes all energy sources that regenerate themselves, which are unlike fossil fuels that pollute our environment, affect public health and contribute to climate change. Renewable energy includes green power sources, like wind and solar, but can also include sources like biomass, wood, ethanol, biodiesel, and municipal solid waste – which are not clean sources of energy and contribute to climate change. But what about natural gas? Isn’t that green? Actually, not at all. Natural gas is a fossil fuel, it’s not renewable, and it contributes significantly to climate change. Hydraulic fracturing, or fracking, the method commonly used to extract natural gas from the ground, releases toxic pollution into the air and contaminates groundwater. The methane released from extracting and transporting natural gas “threatens to cause even greater warming than oil or coal.“ The idea that natural gas is “clean” has been a massive greenwashing marketing campaign by the fossil fuel industry. For years, CREDO has been fighting fracking through our activism and donations to progressive groups standing up for climate justice – and our members have played major roles in banning fracking in states like New York and Maryland. Can I get renewable energy from my electric company? I heard about RECs. What’s that? Yes, many people can and do get renewable energy at home – through clean energy companies that purchase “renewable energy certificates.” You still have the same power line coming into your home, but your carbon footprint could be significantly reduced by switching to a company that offers 100% renewable energy. 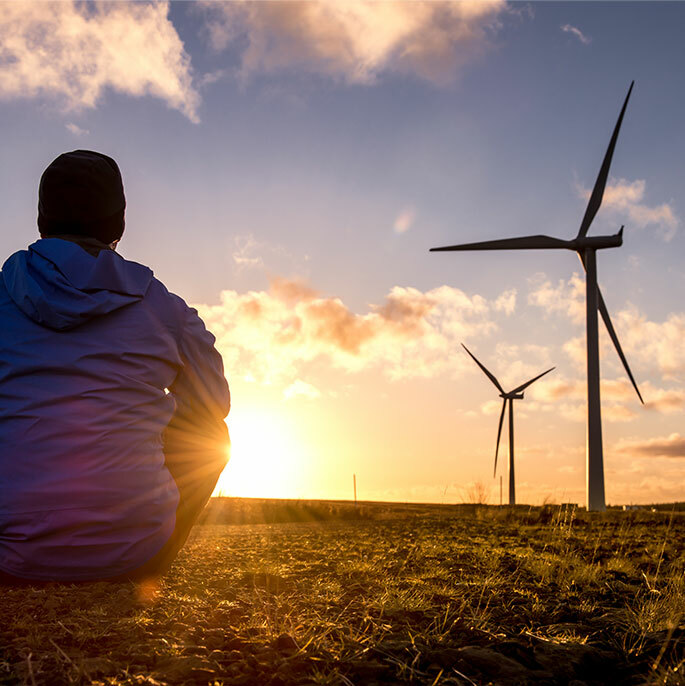 Since all the electricity generated from every source, including wind and solar as well as dirty sources like oil, gas and nuclear, ends up on the electricity grid, companies that want to provide 100% renewable energy to their customers can purchase renewable energy credits, or RECs, which are essentially clean energy credits from wind and solar farms that produce renewable energy. While the actual electricity entering your home may be from one or multiple sources, you are purchasing the environmental benefits from that wind or solar producer and replacing your formerly carbon-heavy footprint with a green, renewable one. For an overview of RECs, check out this article from Grist. And if you want a deeper dive, Vox has this comprehensive explainer. Switching to renewable energy not only helps to reduce pollution and the effects of climate change, it also improves public health, helps create clean energy jobs, stabilizes energy prices and serves as inexhaustible energy sources. Learn more about some the benefits of renewable energy from our allies at the Union of Concerned Scientists.